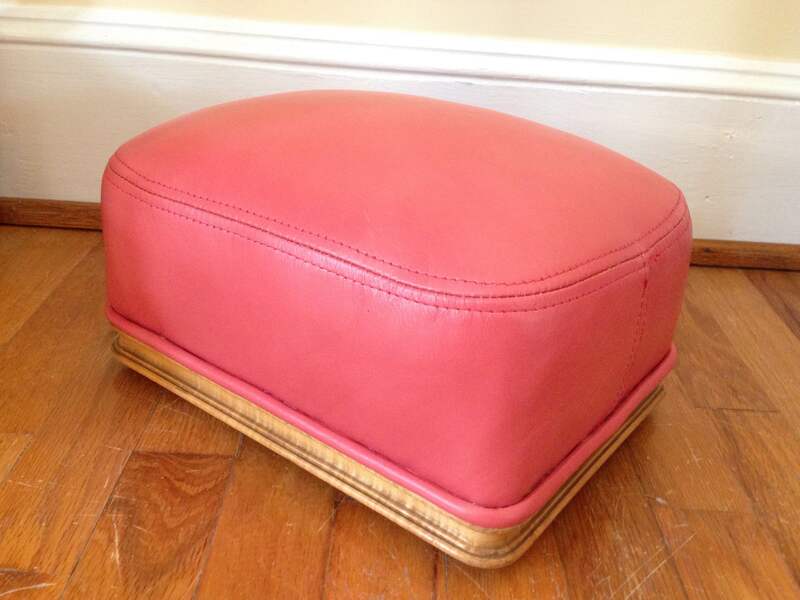 Here we have a small footstool from the First Class Restaurant. The sycamore base matched the dining room chairs and three tier tables (dumbwaiters) in the room. 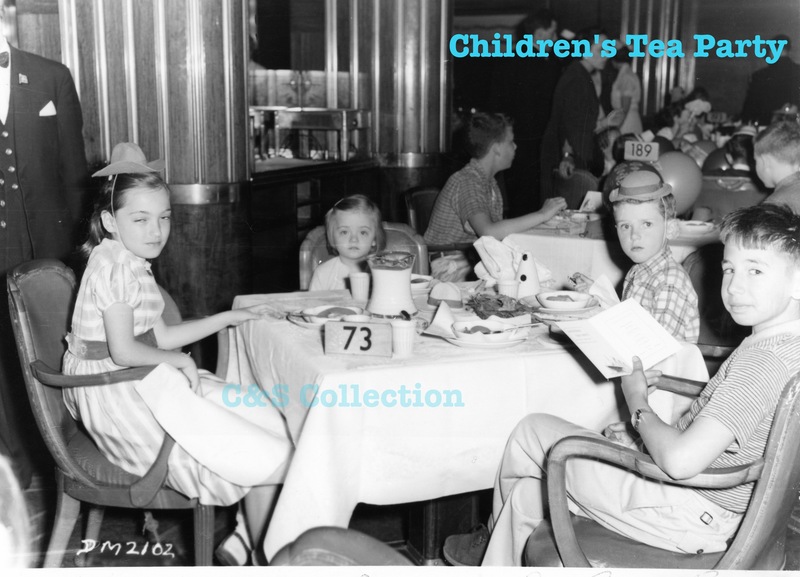 I’ve never seen any archival photos of it in use, and while I’m sure it was used by many different people for the main dining, I believe they were used most during the children’s tea parties they would have on board. 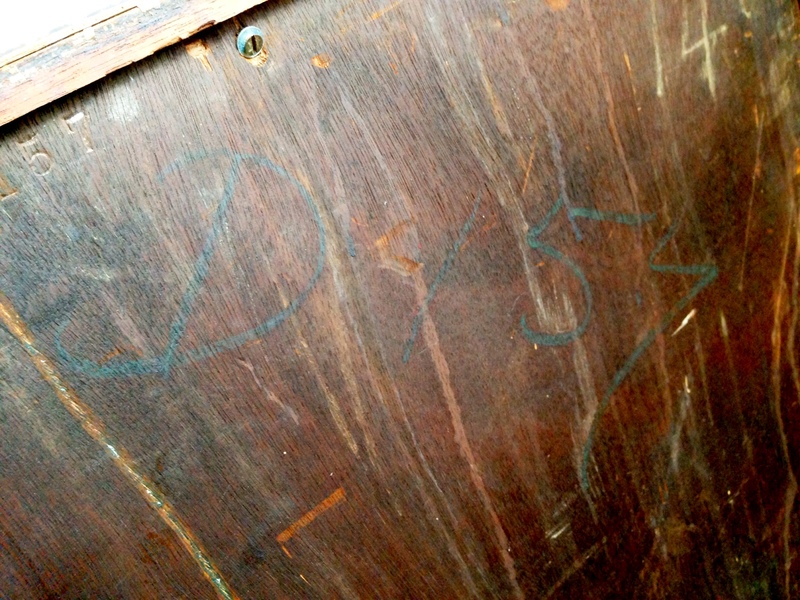 The dining room footstools also have some of the best and most embellished markings I’ve seen to date. 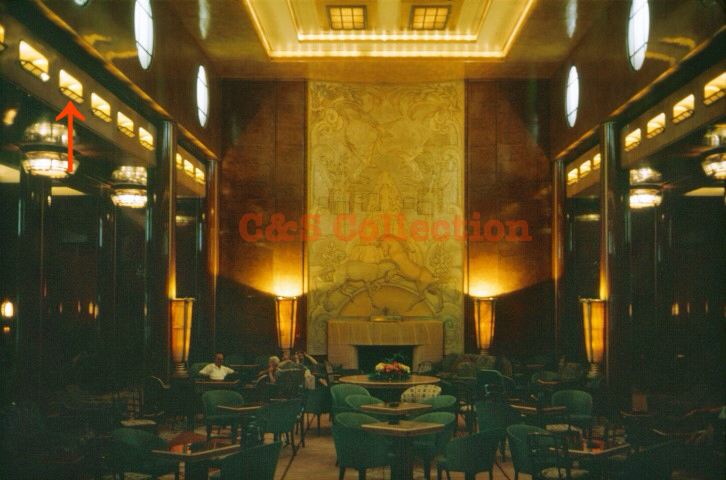 The modern name for this room is the Grand Salon. 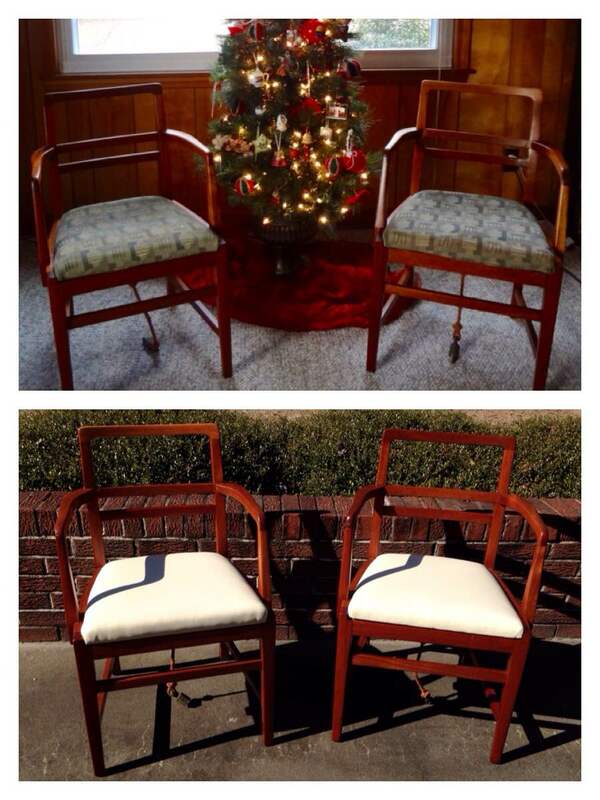 My wife surprised me at Christmas time a few years ago with these third class dining room chairs. I loved them so much and they were a catalyst to start down this journey. We decided to change the upholstery to better match the post war fabric that was used and I’m so happy we did. 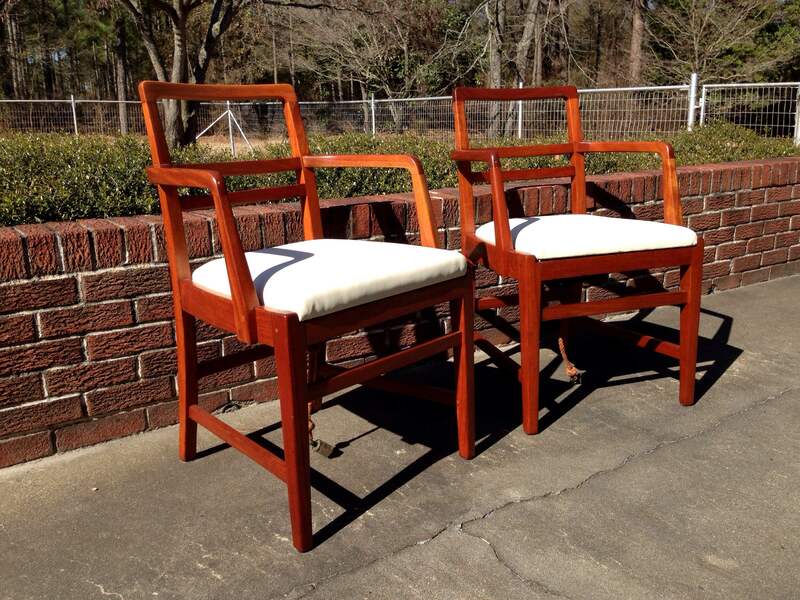 It really brightened the look and, to me, made the chairs look a little more luxurious. I think the subtle lines are just so classy and wonderful and of course the tie downs for use during bad weather is great. Before and after with the new fabric. I was happy with it before, but I am very pleased with the new fabric. 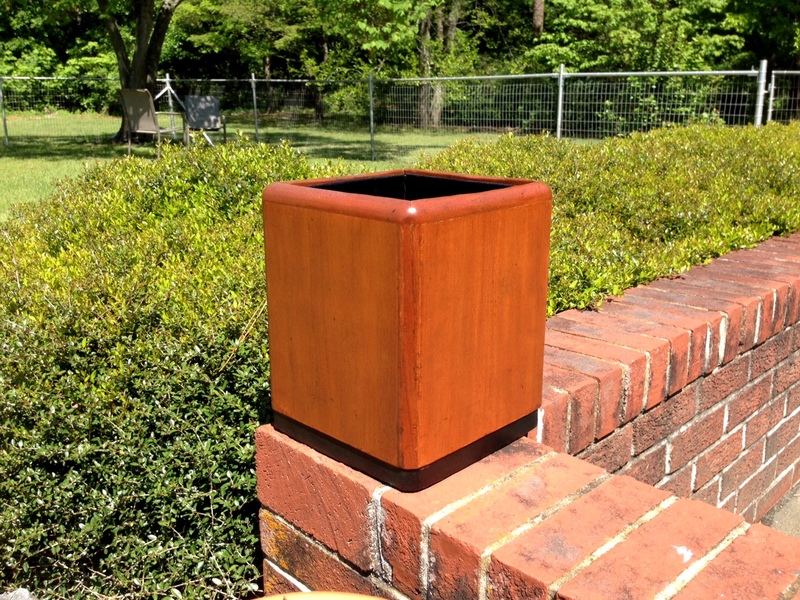 To me it makes the mahogany look more rich. 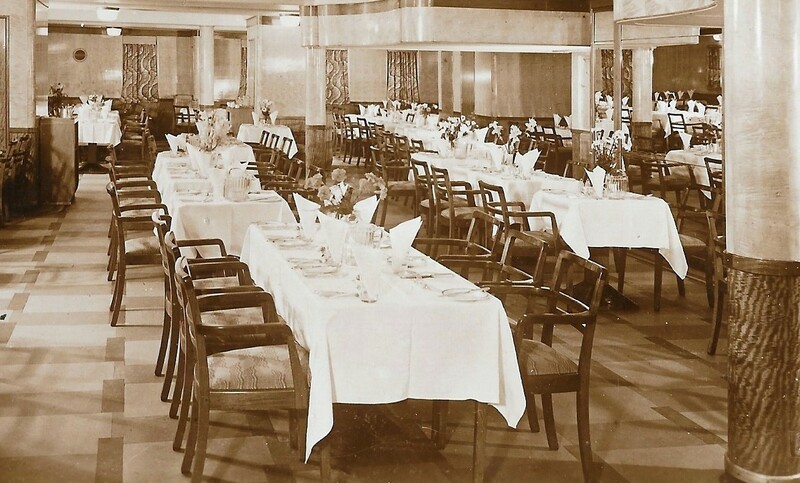 RMS Queen Mary’s Third Class Dining Room (Pre-war). Such a nice room, with lovely touches, especially for third class. 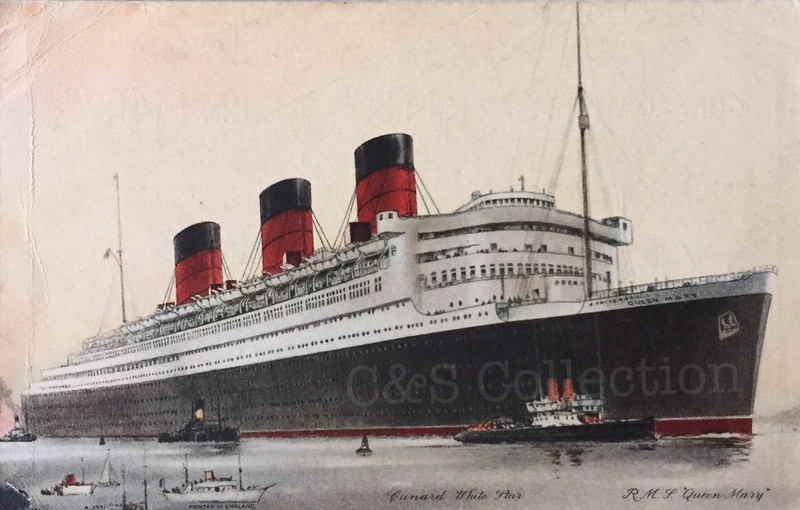 Beautiful second and third class accommodations was one of the things that made Queen Mary a favorite for the average traveler. For this update I wanted to share this great video. This is a BBC documentary from the late 60s. It is once of the best programs featuring life on board the Queen Mary. It’s not the best quality, however it shares a lot of good insight from the crew, and it does take you through some of the wonderful rooms on board. The First Class Main Lounge is my favorite room on Queen Mary, and since it is my favorite room on board I’m always looking for items from this room and recently I found this glass piece from the Main Lounge. I am so glad to have this piece framed and on display in my home. This piece came from one of the light fixtures in the Main Lounge, and one of the things I love most about the glass is that the color and etching was subtle, but it’s those small details that really made this room so special and gave the room a warm atmosphere. Sadly these light fixtures are no longer functioning, but there are some glass pieces still left on board. 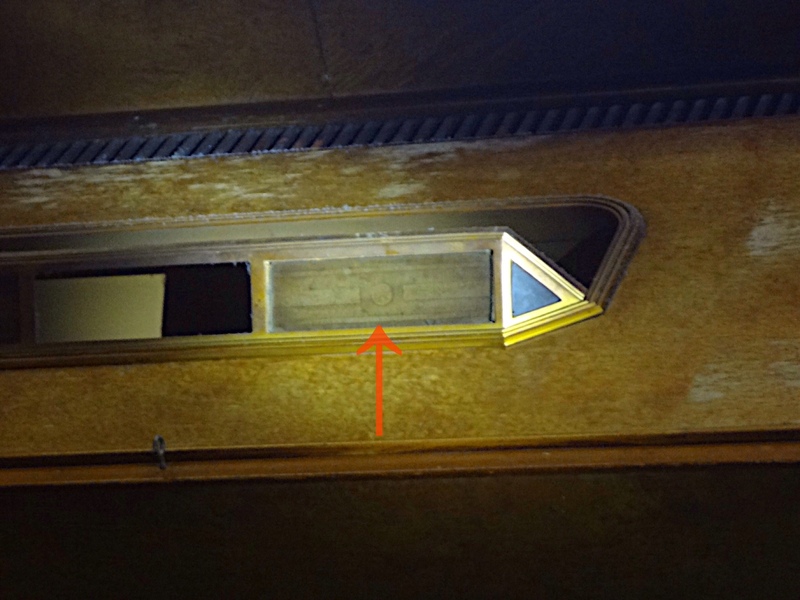 The below photo shows another similar piece on board the ship today. There is just something wonderful about this room. 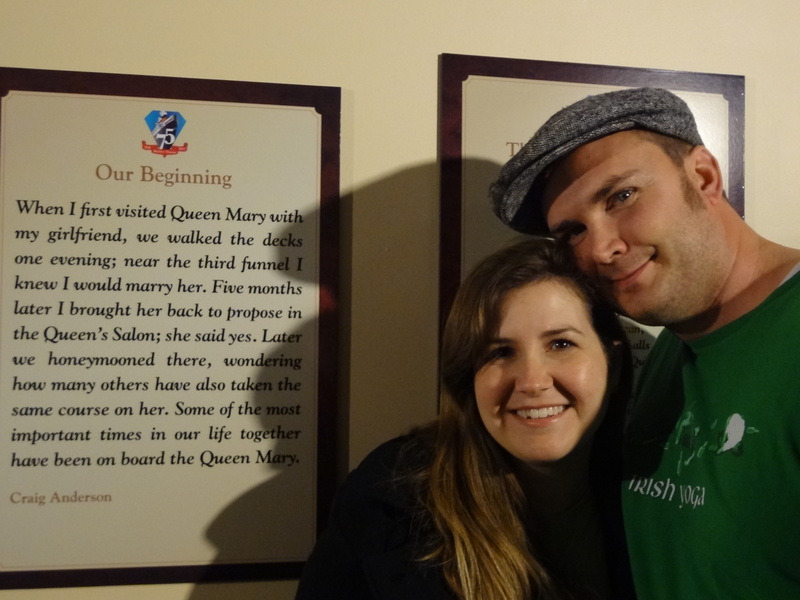 I proposed to my wife in the Main Lounge and it was the heart of the ship while she was in service. 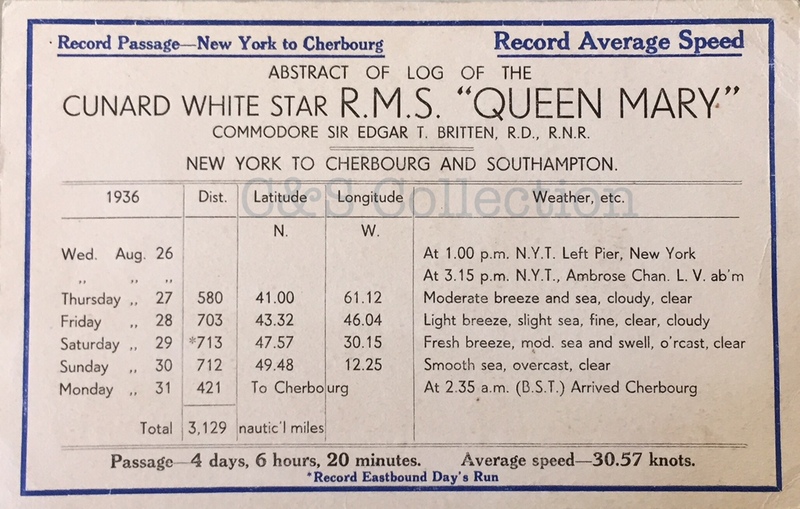 I love to imagine this piece as a silent observer of the life on board Queen Mary. The glorious Maiden Voyage, winning the Blue Riband and the last stroll Captain Treasure Jones took through the room on the Final Voyage. Today it is still one of the most lovely rooms on board. The Main Lounge is called the Queen’s Salon today. This wonderful 2nd Class dresser from RMS Queen Mary is still in rough shape, but since it will be a little while before we can restore it I wanted to share it now. 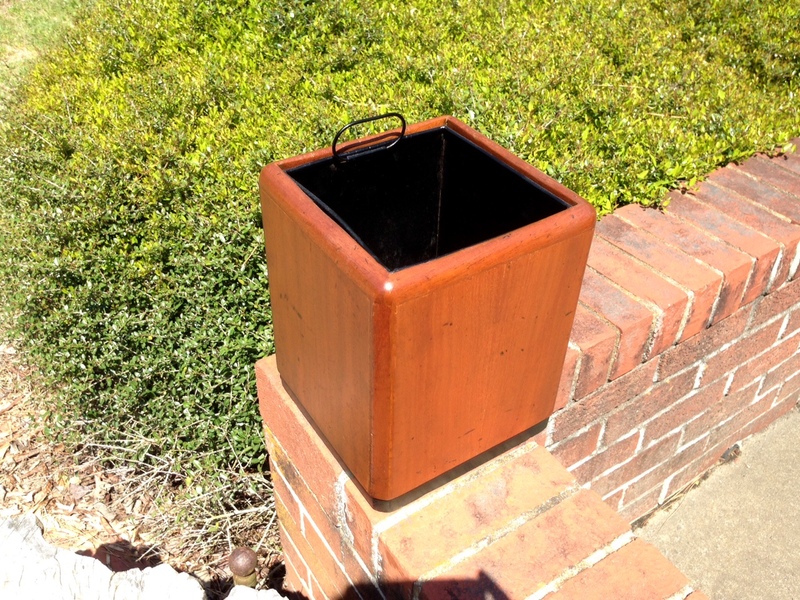 Fortunately mahogany is very forgiving and I know it will clean up well and be brought back to her in-service beauty. This is a tall version of the normal second class (tourist and later cabin class) dresser. Most of the dressers I’ve seen only have three rows of drawers and then the pullout. 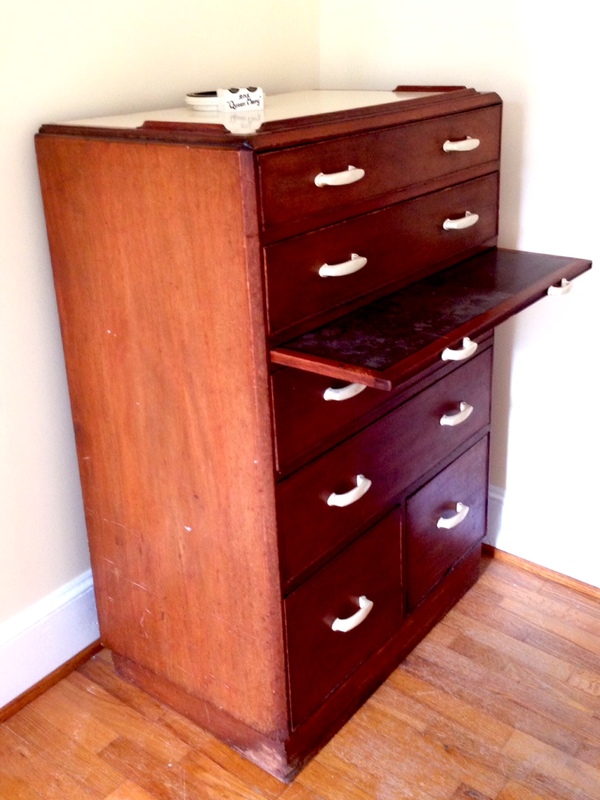 This unique piece has two extra rows of drawers above the Formica topped pullout (the white Formica on the very top is post-war and the brown Formica on the pullout is pre-war). 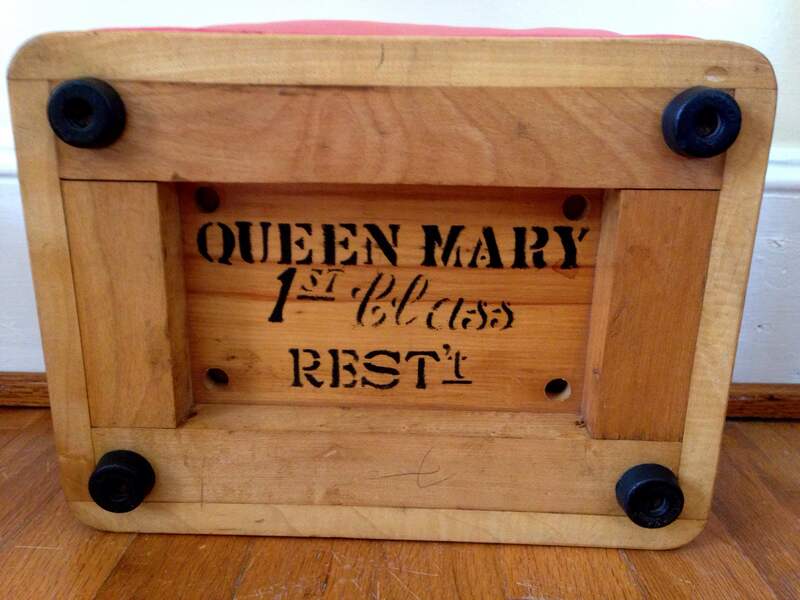 I love finding new shapes and sizes of Queen Mary furniture. 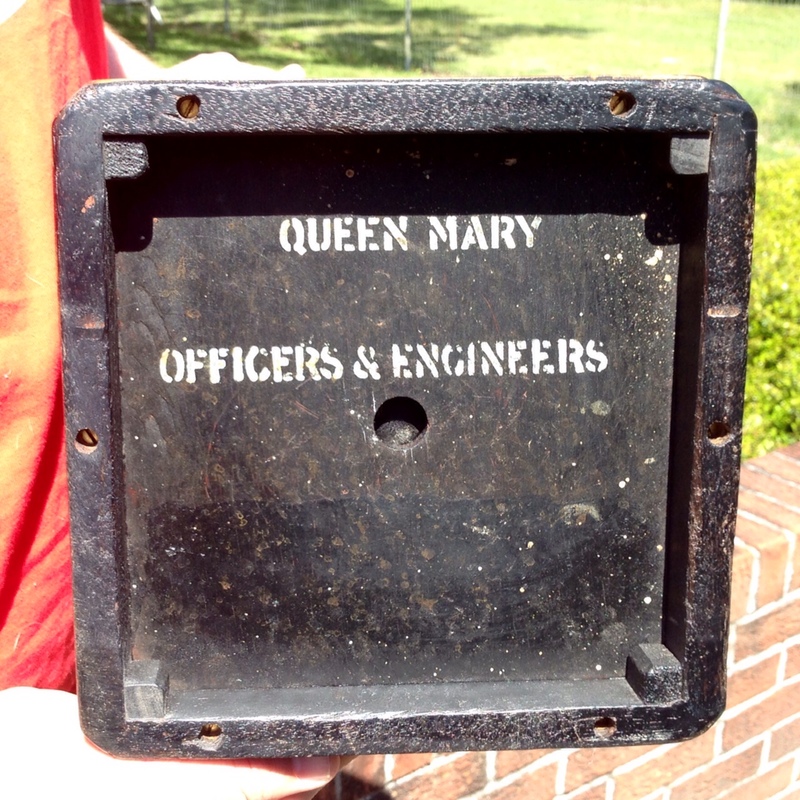 Queen Mary dressers are already incredibly useful. 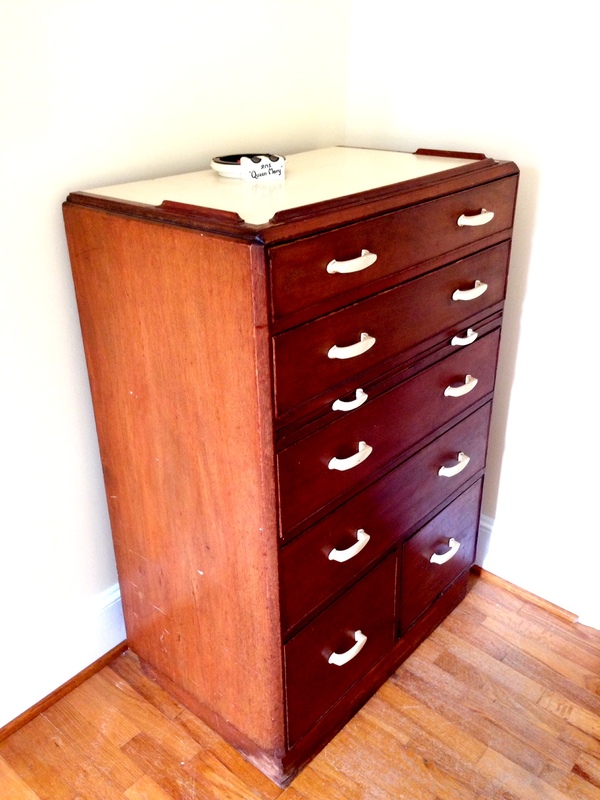 They have nice deep drawers and these extra drawers make this dresser the most useful piece of furniture we own. 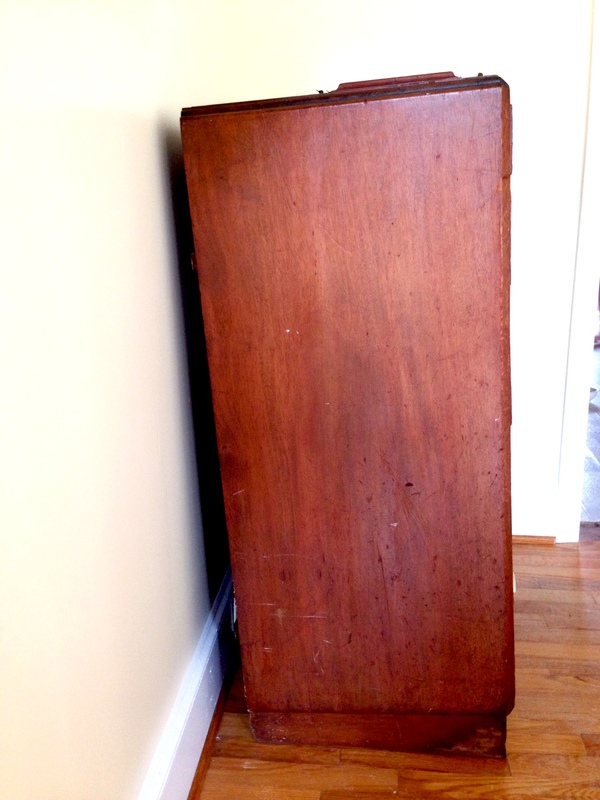 Another thing I find absolutely fascinating about this dresser is the amount of sheer it has. 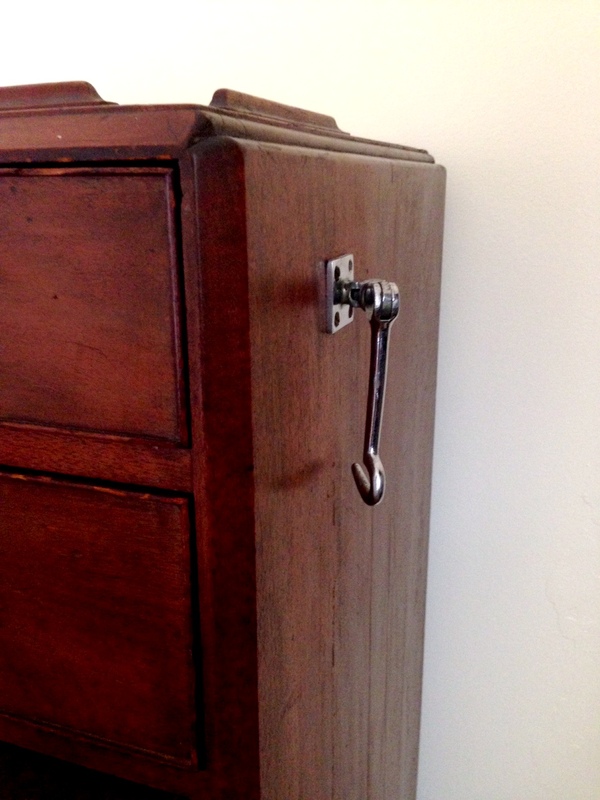 You can easily tell this dresser was not made for level rooms. When you put a level on the dresser it’s slanted at almost 3 degrees. Another tell that her furniture had to have been made all by hand and custom-fitted to the cabin. 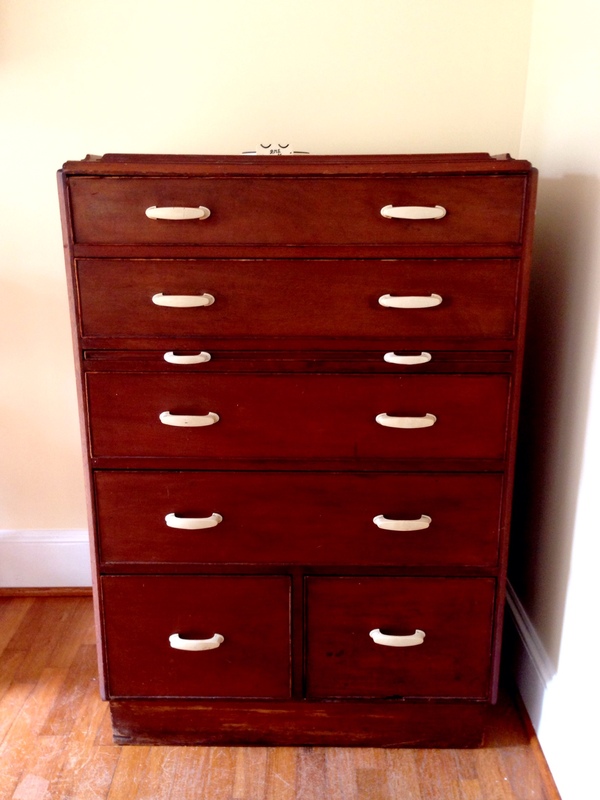 This dresser is marked D-157 and 157 is also stamped into the wood in the top left in the photo below. When you look at deck maps, D-157 is very close to the stern of the ship on the starboard side, so the room must have had a lot of sheer. As it was so far aft on the ship you know that they must have felt the vibrations from her propellers going 30+ knots. This one also came with the hook that was used to hold the cabin door open. Probably to help with moving luggage in and out and with ventilation.